In just a few short hours, the E3 conferences begin and as we’ve all seen these can be the biggest moments of the expo and often influence the nature of the industry for the coming year and even further. In the past, these conferences have also made significant impact on who lost in the coming year as a lack of hype for certain companies made others look even greater by comparison. The one given for this E3 above all else is that Nintendo doesn’t have anything big to reveal. While they will probably be making announcements from the show floor and through Nintendo Direct and shoving off various new games, potentially including new details on the upcoming Wii U Smash Brothers, they actually are not going to have a Nintendo Press Conference. After two years of lackluster results pushing the Wii U to the mainstream media through E3 press, Nintendo is backing off hopefully to reevaluate where the console stands in the market and figure out a way to focus back on their core audience they lost with the Wii. On last week’s episode of The Bitcast I was challenged to put my video game money where my film score loving mouth is. So this week I decided to give you all a special edition of Film Score Friday: a top five rundown of my favorite video game scores of all time. The music in video games has often been considered an after thought that had little to no bearing on the games themselves. Only a handful of franchises had transcendent music, and everything else was just deemed filler. Now that video games are growing to near cinematic heights of popularity and quality, the music in these games has also seen a renaissance. High profile film composers are taking on video game projects, marquee games are releasing sound track albums and the film score community is finally accepting video games as source of quality music. Check out the latest episode of the Bitcast with JC and WallE as they explore the world of gaming. In the news, the two reflect on the Grand Theft Auto V launch trailer and recap their predictions from the last episode and see who did better. Also discussed are the November 8th PSN releases of Crono Cross, Final Fantasy V and Final Fantasy VI. In the Topic of the Week section, the Bitcast takes a look at the Free to Play gaming model which is becoming more and more prevelent in gaming today. The two discuss both the merits and concerns of the concept, look at how it has been implemented in existing titles and talk about what it can have in store for the future. In their Now Playing, WallE has a throwback moment as he looks back at the original Uncharted for the PS3. JC expands further on his time with his review for Skylanders: Spyro’s Adventure. 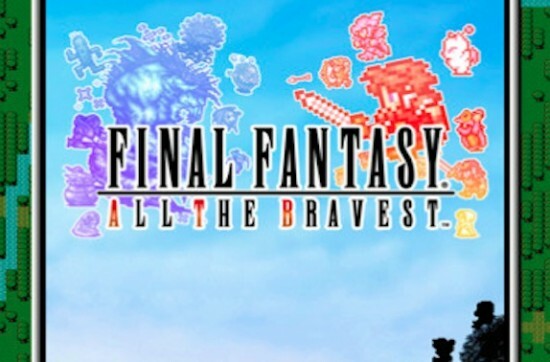 For a series that was once created in order to save of a game studio, Final Fantasy has become one of the defining RPG series in video games. With twelve traditional releases, one MMO, and over a dozen spinoff titles, Square Enix is readying itself for a fourteenth Final Fantasy, again jumping back towards the MMO routes of Final Fantasy XI. Since its announcement at 2009’s E3, only a small sampling of information has been released about the game, mostly to not get in the way of the hype of Final Fantasy XIII, released earlier this year. The game will follow a skill progression system, mostly resembling the structure of Final Fantasy II. Developers have taken what they have learned from Final Fantasy XI and admit to also borrowing inspiration from other titles such as World of Warcraft (the MMO industry leader), Diablo and Warhammer Online. Coming to both the PC and PlayStation 3, Final Fantasy XIV already looks to surpass Final Fantasy XI. With a console generation to build upon and not being hampered by PlayStation 2’s internet limitations, Final Fantasy XIV may have a shot at becoming the dominant console MMO. Below, take a peek at a side by side comparison of footage from the Alpha build of Final Fantasy XIV compared to the Beta build. For those who don’t understand that difference, Alpha code is an earlier version in the game’s creation life cycle. This is where more of the bare bones of the game is laid out. In Beta, more testing occurs and polish has been put over details in both gameplay and graphics. Still set for an unannounced 2010 release date, be sure to check back right here for more news on Final Fantasy XIV. In the meantime, check out the video and some pics from the game after the jump. The guys at Square Enix have a big month coming up with the release of the long-awaited Final Fantasy XIII next week and announcements that three new add-ons are in the works for Final Fantasy XI. But also on the horizon is the beginning of beta testing for Final Fantasy XIV, their newest MMO. According to 1Up.com, the first wave of beta invites for Final Fantasy XIV will be going out beginning March 11th to those who applied back in December. The beta will expand over time for those who aren’t initially invited. The beta will only be available on PC, at first, but the game is slated for release later this year so you won’t have to wait long to get your hands on the game for PS3. Final Fantasy XIV takes place in the land of Eorzea, whose nations have banded together after constant war to stem the threat of the Garlean Empire. When the threat subsided, the resulting peace left many soldiers without a job. As one of these soldiers, players will form guilds, becoming adventurers. The game will be hitting the gaming shelves for PC and the PS3 this winter, and keep it here for more details as we get closer to it’s release. Buzz has been surrounding Square Enix’s upcoming MMO title, Final Fantasy XIV, ever since the trailer was revealed earlier this year at E3. While the game won’t be out for awhile, details have been slowly leaking, and recently the official website released some details on some new classes and the weapons they’ll wield in Final Fantasy XIV. The first new class revealed is the gladiator. This class favors close-range combat, using a wide range of blades to hack and slash at their opponent. They also sport shields and throwing knives. Another class, the pugilist, has also been revealed. This class uses its bare fists or hand-to-hand weaponry to take down their adversaries. Their weapon of choice, himantes, are regulation weapons, soaked in tallow for increased durability. Final Fantasy XIV will be available in Japanese, English, French and German for Windows PC and Playstation 3 sometime in 2010. Check out some of the new classes and weapons after the jump.